A few weeks ago Facebook announced they are once again making changes to the way news is displayed in the newsfeed. Back in June of 2012 Facebook began charging page owners a fee per post if they wanted all fans of a particular page to continue to see the content. Page owners watched as engagement dwindled and more newsfeed tweaks over the years made “organic reach” even harder to come by. With this new announcement from Facebook, you can expect to see even less of the content from the pages you like unless you take a few quick steps. Click HERE to read the news release from Facebook about the changes and how they will affect pages. Posted below is the method to use to stay connected with us(or any other page) in the newsfeed. Of course you can always still visit your favorite Facebook pages but if you want the content to keep appearing(or start appearing) in your newsfeed follow these steps. Of course this method will work for any page, we just used ours as an example. 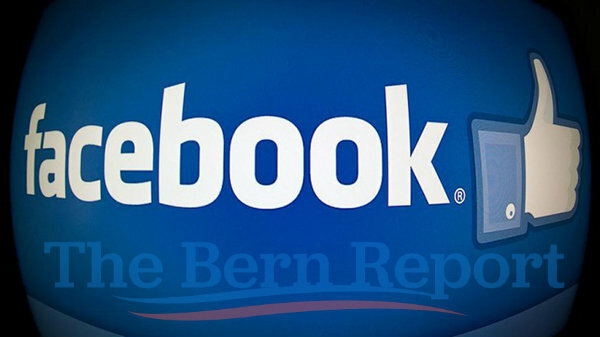 If you are reading this article on a phone or a tablet, click HERE to visit The Bern Report’s Facebook page. If you see the word “Following,” click on it and then click “See First.” You’re all set. If you see the words “See First,” everything is already as it should be. If you reading this on a desktop or laptop computer, click HERE to go to The Bern Report’s Facebook page and look towards the upper right hand side of the page. If you see see the word “Like,” click on it once to turn it into “Liked,” then click again and choose “See First”. If you want to control how you’re notified when The Bern Report posts something new, click the small pencil icon next to the word “Notification” and make your choices. We look forward to staying connected with you on Facebook.